My first “real” skateboard was an Alva Eddie Reategui. It was beautiful! 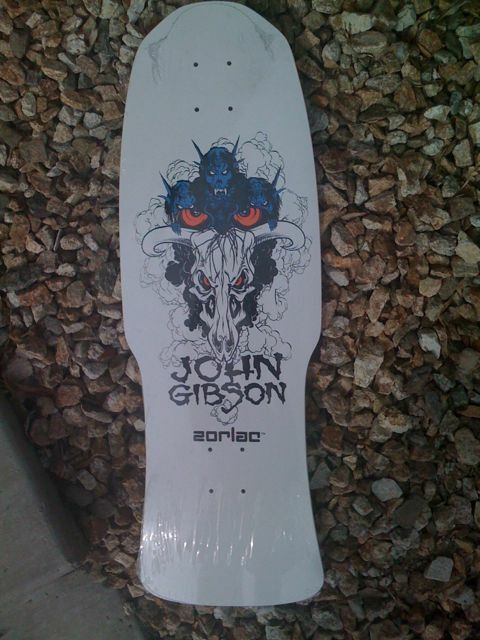 My best friend Aaron had a Zorlac John Gibson, equally as beautiful. We skated those things until they turned to sawdust. I still remember the 2-3 ply chip in the nose of Aaron’s Gibby. 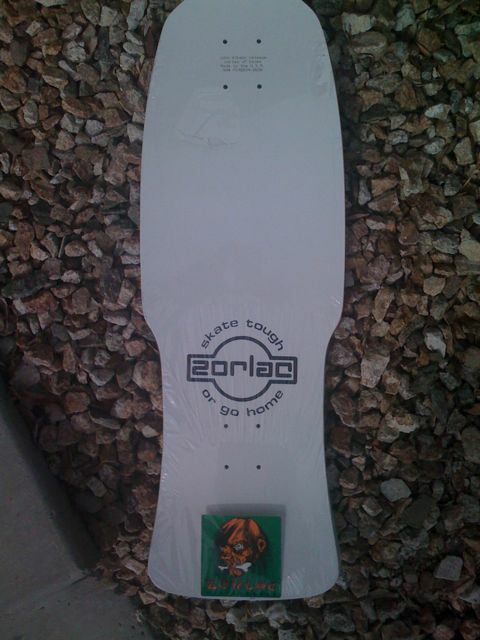 So my bosses brother still skates for Zorlac. I asked if he could score me a deck since my big setup was taken from Burds garage. He called his brother and this showed up a few days later. I got emotional! The EXACT gibby Aaron had some 20+ years later. Different color but same concave, shape, tail, graphics, etc. Beautiful! Going up on the wall (as in the house, not skating the pool).